There are a thousand ways to travel from DC to New York. But none as quick and direct as AAG’s Washington helicopter charter – with executive service from your departure location, on your schedule. If you’re in the DC area – including Maryland, Virginia and Delaware – take advantage of efficient, effortless business or personal travel on the legendary Sikorsky S-76®, the most popular VIP helicopter in the industry. AAG’s fleet of helicopters features spacious six- and seven-passenger cabins. They’re the quietest cabins in their class, with finely appointed leather interiors. So you travel in comfort, whether you’re heading to New York City for business negotiations or to see a Broadway show. A large part of that comfort is knowing that, with AAG, the safety of you and your family are the No. 1 priority. The company recently was recognized for achieving more than 50,000 hours of safe flying over more than 25 years of operations. AAG is ISBAO Certified, Wyvern Approved, ARG/US Platinum and a member of the Air Charter Safety Foundation. With the largest fleet of S-76 Executive Helicopters on the east coast, AAG provides Washington helicopter charter solutions with exceptional customer service. 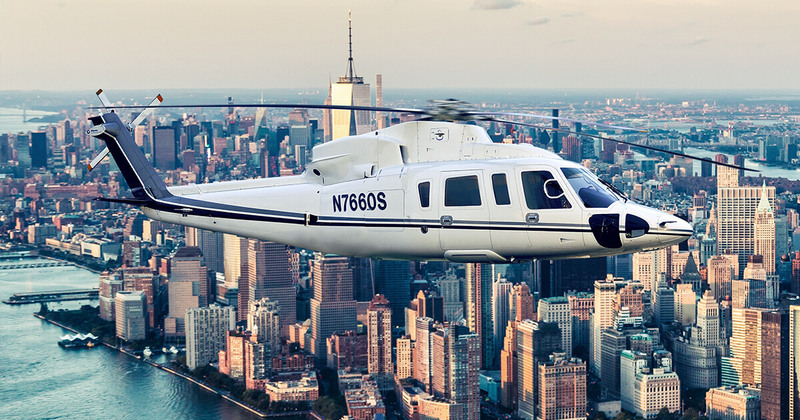 No other helicopter company can deliver efficient DC-to-New York travel with greater efficiency, comfort or value. Begin your day with views of the Capitol, the White House and the Potomac and then be at the Empire State building after breakfast. Go from northern Virginia to midtown Manhattan after lunch, and make dinner reservations for the evening. Head from Bethesda, Maryland to the best golf courses in New York, New Jersey and Connecticut. Our Washington helicopter departure points don’t require driving hours on the Beltway. You won’t get stuck in traffic on the way to Baltimore-Washington Airport, Reagan National Airport or Dulles International Airport. We fly from locations that are close to your home or business.